FAR FROM THE TREE is a documentary based on a book by Andrew Solomon, who also produced. It follows a variety of people with various disabilities or otherwise extraordinary stories and explores their relationships with their families, specifically their parents. Solomon, a gay man explains his own struggles becoming accepted by his family and how it was his inspiration to dig deeper into the dynamics of families in which one member, for various reasons, does not conform to the norm. 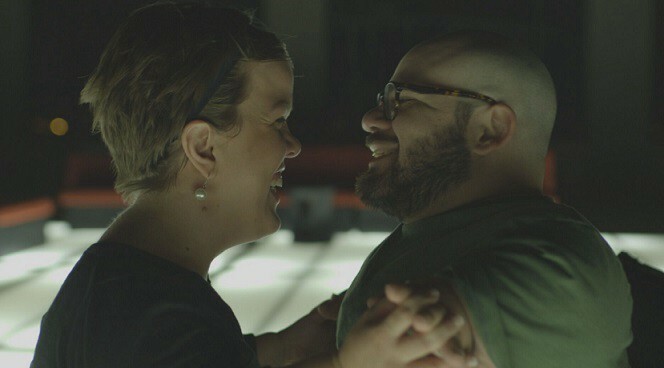 We see a story of a 41 year old man with Down syndrome and his relationship with his mother. We meet a young woman affected by Dwarfism. We watch a married couple with Dwarfism attempt to conceive. Then, a heartbreaking and warming story of a 13 year old Autistic boy and his supportive family. And finally, a family who saw their 16 year old son get convicted of the murder of an 8 year old boy. I was not previously familiar with the book but according to my research, it was quite well received. This can only lead me to believe that it does a much better job at getting conveying its central thesis than this film does. This is unfortunate. I felt like the film was grasping at something but couldn't quite get a hold of it. Don't get me wrong, the stories this film tells are very touching and just listening to the people can be eye opening in respect to how we see disabilities. But that being said, I really couldn't tell you what Mr. Solomon's book is about just by watching this film. I have the sense that he was exploring an idea that was probably a bit on the abstract spectrum of thought and I have no doubt that Dretzin understood what he was getting at. I just don't think she ever got around to putting it together in this film. And I think that's ultimately a let down for what is actually a very watchable film.